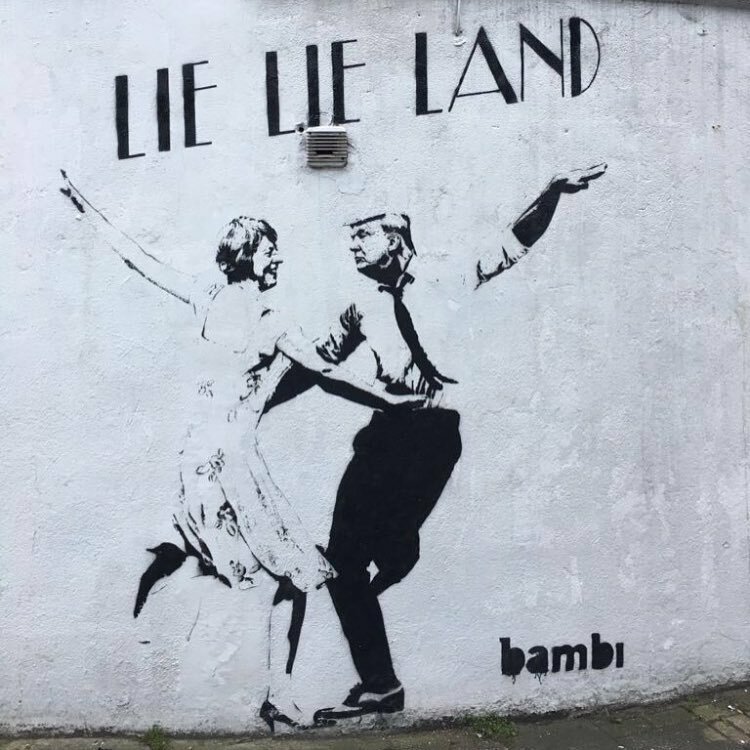 “Lie Lie Land“. Donald Trump and Theresa May. 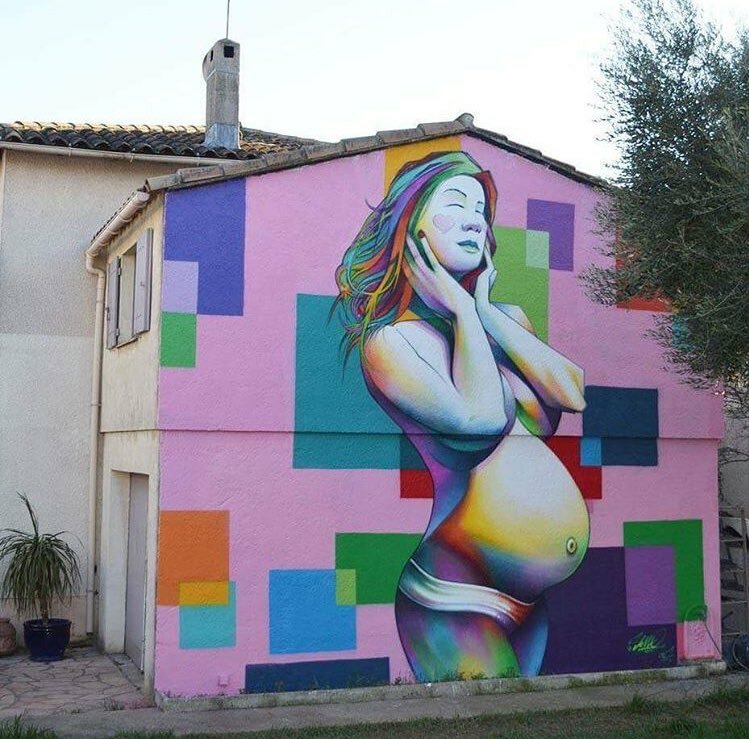 London, UK: new piece by Bambi. 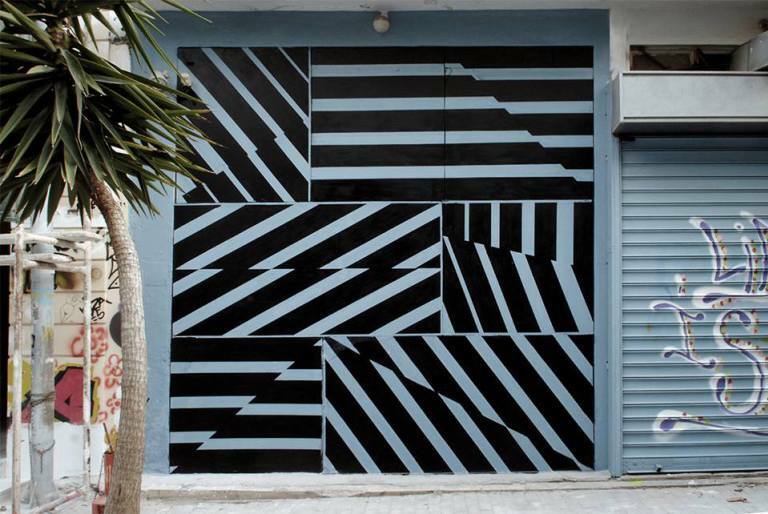 Athens, Greece: new piece by greek street artist Simek.